Canada motorcycle shipping and motorcycle transport. Motorcycle Shippers provides motorcycle moving in Canada. Door to door service available. Check the chart below for accurate pricing. We have provided Canada motorcycle shipping for over 20 years. 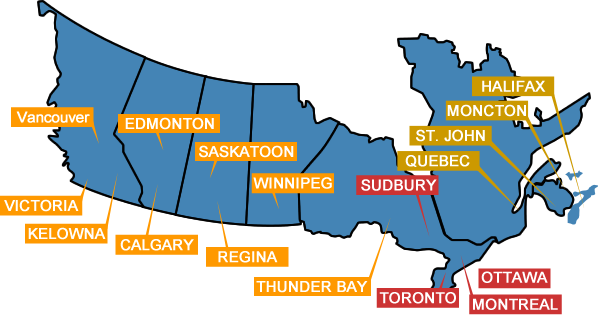 Transport is provided for all accessible locations within Canada. $7000 valuation included with each shipment. Additional coverage is available for $7.00 per $1000 valuation. No deductible. Subject to Motorcycle Shippers Contract. Get priority with VIP Service. Need Faster Service? Get It Quick with Executive Express Service. Use our docks at No Additional Cost! Drop-Off or Pick-Up on your schedule. Custom Dealer Programs Available. Call us at (800)730-3151. 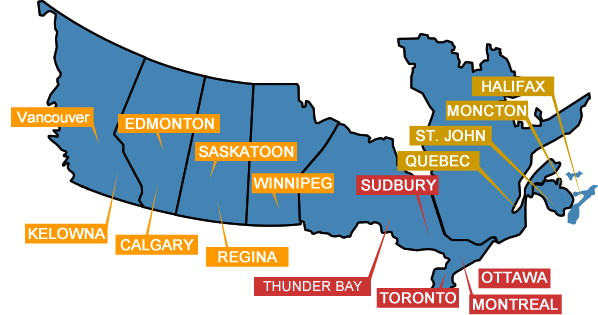 Canada motorcycle shipping professionals offering door to door solutions across Canada.